It seems the world of preclinical development is heating up. When you take a step back and look at what has transpired in this industry since our last Preclinical Quality Benchmarking report in early 2015 it paints a picture of strength. Mergers and acquisitions are rapidly on the rise in the preclinical sphere, and company sales and stock prices are exhibiting similar trends. 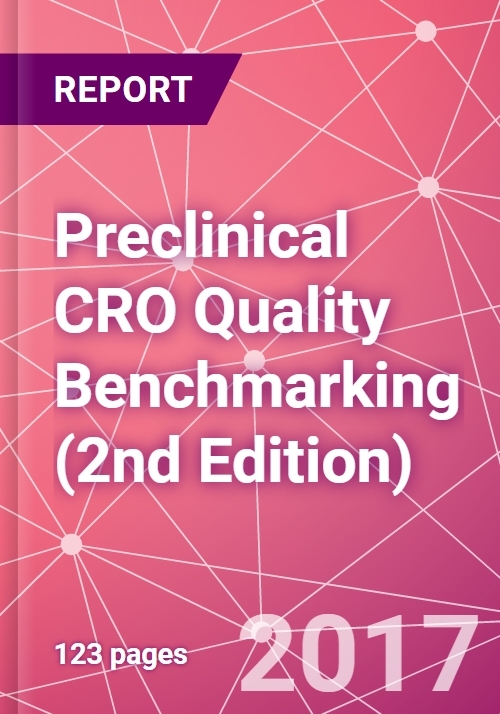 This report is a guide to ensure that key questions are answered as both CROs and sponsors navigate this quickly expanding market. For this report, 118 respondents were surveyed from North America and Europe via a 30-minute, web-based quantitative survey. 510 service encounters were collected, making this report the largest collection of preclinical service provider evaluations available. 14 providers have received detailed service quality profiles.